Please join us in church on “Christ the King” Sunday, November 25, at the Laguna Woods campus. Christ the King Sunday is the last Sunday of our liturgical year when we will celebrate God’s provision in our lives. Please Note: the Aliso Viejo campus will be closed that day to complete sanctuary upgrades, so join us at the Laguna Woods Campus. 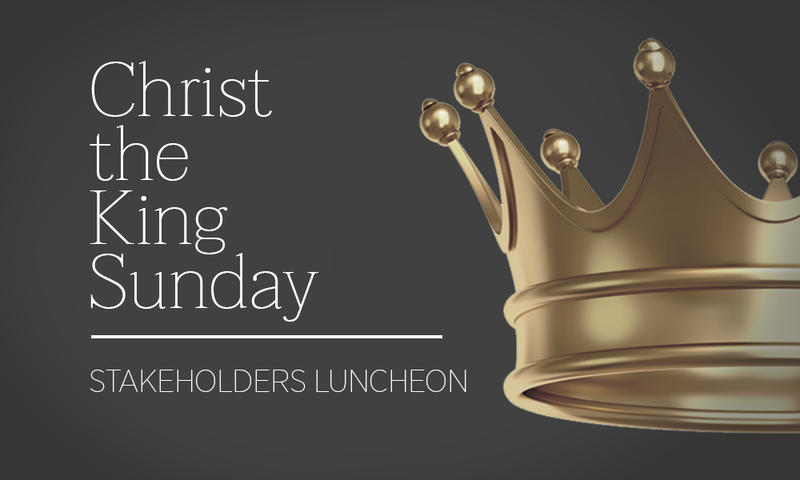 The 11 AM worship service will be followed by a “Stakeholder’s” Luncheon at 12 noon (in the LW social hall). We will enjoy a delicious meal of steak and potatoes and hear a special presentation. RSVP is required for the luncheon. Sign up at church or call the church office at (949) 837-4673 to reserve your spot.